[ 'Pneumonia Evening' at the Osler Club, London. ] 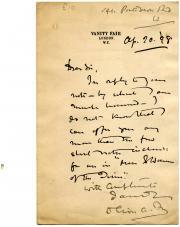 Signed Typed Circular from L. Carlyle Lyon, Assistant Secretary to the Osler Club, addressed to Dr Nehemiah Asherson, regarding the 'Pneumonia Evening' and the Club. With annotations by Asherson. From Lyon's private address, 42 Corringway, Ealing, W5 [ London ]. 29 December 1951. 1p., folio. In fair condition, on aged and worn paper, with leaf from diary tipped in onto blank reverse. Signed 'L. Carlyle Lyon', addressed by Lyon to 'Mr. Asherson' with seasonal greetings in autograph. Heavily annotated with notes by Asherson. Begins: 'You are cordially invited to attend (with a friend or friends) the "Pneumonia Evening" of the OSLER CLUB (President, Mr. V. Zachary Cope, F.R.C.S, in the Chair) on FRIDAY, January 11th, at 7.45 p.m. at the Medical Society of London, 11, Chandos Street, Cavendish Square, W.1. | Speakers: Lord Horder, G.C.V.O. : "Osler and Pneumonia". Miscellaneous collection of drafts and notes, in manuscript and typescript, including short articles of reminiscences of his teachers and medical acquaintances. Around 100 loose, disordered leaves, mostly A4, with autograph notes or typescript on one side only. In good condition. Includes jumbled sections of a monograph (unpublished?) on Sir William Macewen. Also a few notes on Morell Mackenzie, and complete short articles containing reminiscences of teachers and medical acquaintances, including Charles Coley Choyce, Hamilton Bailey, Girling Ball, Cuthbert Wallace. 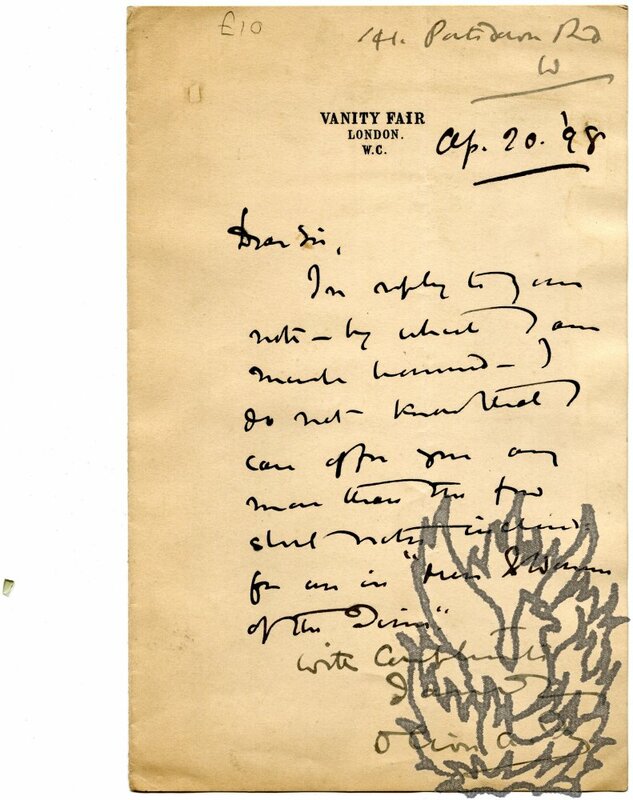 With Asherson's card, noting his 'Change of Address from 24th December, 1945' to 21 Harley Street. The Lettsomian Lectures, delivered at the Medical Society of London, 1879, on bronchial asthma: its causes, pathology, and treatment. London: Baillière, Tindall, and Cox, King William Street, Strand. 1879. Small 8vo. Pages i-vi, 3-86 (nothing apparently lacking). Original publishers' catalogue for 1879 at rear. Good tight copy, in worn original brown cloth, gilt. PRESENTATION COPY 'For The Library of the Medical Society of London with The Authors Compts'. With stamps, labels, and other evidence of library provenance. From the collection of the Society's librarian Nehemiah Asherson, and carrying a note by him, over the Society's stamp on the half-title 'DISCARDED FROM THE LIBRARY | RESCUED FROM Pulping | 1971/2'.